New York's soundscape is as varied and distinctive as its skyline. But the cultural diversity and musical virtuosity featured here will surprise listeners who think they know the "real" New York. 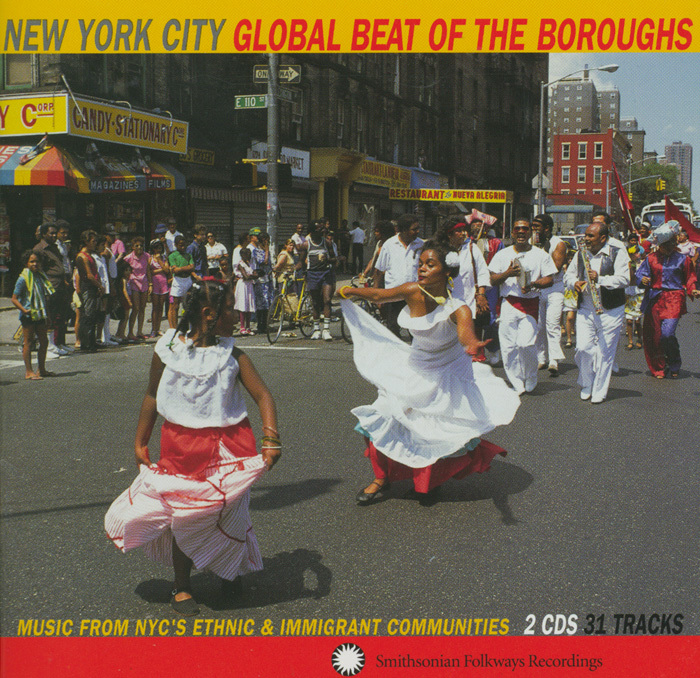 Featuring outstanding grassroots ensembles from more than a dozen of New York's most vibrant ethnic communities, this release pairs the traditional with innovative cross-cultural fusions. From Irish ceili groups to Caribbean steelbands, Gypsy ensembles to Chinese orchestras, African-American gospel choirs to Latin jazz, this audio portrait of the five boroughs will delight lifelong New Yorkers and first-time visitors alike. Over two hours. 31 tracks. 40-page booklet, extensive notes, and photos.